HSPA+ up to 21.6 Mbit/sFollowing the Huawei E5 series, Huawei E5220 also works both in GSM network and the UMTS network, LTE is not supported. In the UMTS network, the download speed of up to 21.6 Mbit/s via HSPA+ is available, of course, it depends on the configuration and utilization of the network. 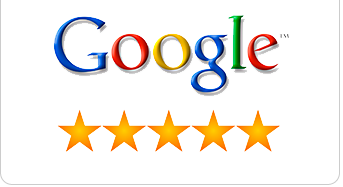 In the test, we use the HUAWEI E5220 under the Vodafone network, a maximum speed of 14 Mbit/s downstream and 3.3 Mbit/s upstream; while with the network of Deutsche Telekom, the speeds 4.2 Mbit/s for downstream and 4.1 Mbit/s for Upstream were possible. 2. Just insert a non acceptable Network sim on your E5220 3G router SIM card slot. (You have to use another network provider sim, which is currently locked to). 3. After changing the another network providers sim on your Huawei WiFi / MiFi switch the device on. It will display “Invalid SIM” because you have used another network providers sim. 4. Now just establish a WiFi connection to Huawei E5220 3G WiFi MiFi router with your PC / IPAD / IPHONE / Android Device. 5. Connect your E5220 3G with PC and login to your device’s dashboard at 192.168.1.1/simlock.asp OR 192.168.1.1 OR 192.168.8.1. Go to Advanced Settings – SIM Settings – Unlock Device – Enter Unlock Code – Click on Apply. 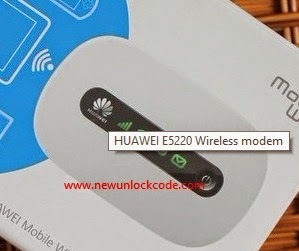 Open your Settings – Dial-up – Unlock SIM card – Enter 8 digits unlock code (NCK Code) in your Huawei E5220 3G WiFi MiFi router. Click OK and the device will reboot to display the new network.